Celebrating the centenary of composer Benjamin Britten, Film maker John Bridcut’s new film is to be shown on BBC Four this Thursday 14 November. 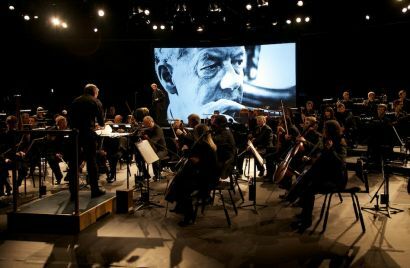 The film was shot back in January and Event Projection were brought on board to supply a giant screen behind the orchestra. We have just seen a great video on YouTube. A secret monitor invention that has already had close to a million views on it’s first day online. Projected sets are the future; the benefits of a mapped set are endless. They are creative and allow live event specific updates, twitter feeds and sponsor logos. Thy can be designed to budget or you can really go to town with content and design creating something incredible for your event. We’ve all been to mobile phone shops to look for new gadgets. Instead of the fake handsets, Virgin Mobile decided to embrace touchscreen technology in their flagship store to show off their range of handsets. June is interactive month at Event Projection and we’re opening with a look at how Adidas has used it to increase sales of footwear. Event Projection called in for amazing video effects for launch of BT Sport online service. Bored of water coming out of your hose in a straight line? Here’s a video showing you how to change all that with a loudspeaker and a sine wave generator. This fine example of experiential marketing caught our eye recently. What better way to off your new car than to get it on the streets of one of the biggest cities in the world? That’s exactly what BMW did with the aid of some digital trickery, some rear projection film and a couple of projectors. Langarita–Navarro Arquitectos‘ rather splendid Led wall installation is relatively old news as it was installed in 2009 but it is a great example of how to combine architecture and technology. 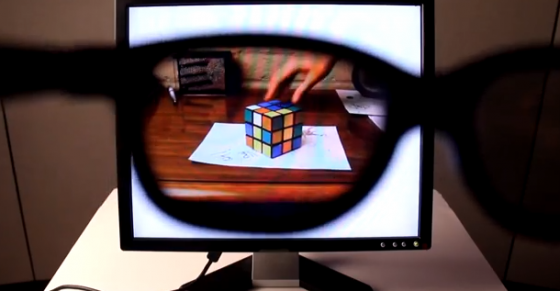 Microsoft’s Illumiroom: Projection Map Your Living Room! How long has our industry got the monopoly on projection mapping? Rumours have it that Microsoft are planning on turning your living room into a giant 3D TV. They are currently working on illumiroom; a concept that combines a Kinect camera and a projector, IllumiRoom augments the area around your television creating an immersive gaming/viewing experience. Need a big new LED TV? The 201″ outdoor LED C’SEED screen might be for you!